New toy car plan to build a 4x4 off road vehicle. Found this toy car plan from Woodworkers Journal circa 1980. 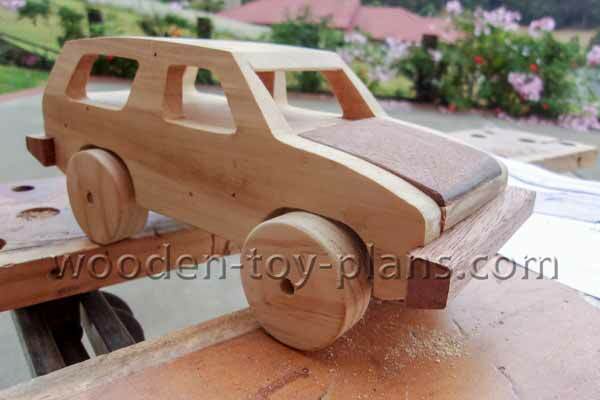 Fun, simple and easy to make sturdy wooden toy. You don’t really need expensive machinery – I made this one with a scroll saw, an electric drill and a few hand tools. Also included in the print ready PDF file is an updated CAD drawing of the profile. Go to the page to see these free plans.